For all of your tree care needs in Lake Norman, we’re here to help. Your trees are tall and beautiful, and they provide great shade throughout the year. Since your trees are such an important part of your yard, it’s critical that you take proper care of them so they remain healthy and strong. At Top Notch Tree Service, we’re here to help you do this with our exceptional tree care services in Lake Norman, North Carolina. 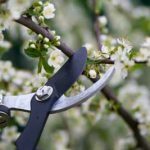 A big part of tree care is pruning away excess branches on a regular basis. Our team can determine how often you need to have your trees pruned and then take care of this process for you. We’ll schedule an appointment that works for you and promise we’ll show up and do the job right. Our tree care professionals are friendly, highly knowledgeable, and dedicated to preserving the health and beauty of your trees. Another important part of proper tree care is making sure your trees are free from harmful diseases that could harm them both inside and outside. If you suspect your trees have been affected by a disease, our team would be more than happy to come and take a look at them. From there, we’ll determine which steps you should take to restore the health of your trees. If you have any questions about taking better care of the trees that dot your landscaping, please don’t hesitate to contact us at Top Notch Tree Service! As your tree care team, we’re always more than happy to help. We look forward to hearing from you!